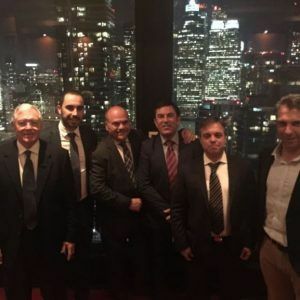 The president of the Generalitat Valenciana, Ximo Puig, led at the end of last year, an interesting trade mission to Canada in which FRESCAMAR participated through its General Manager Tahiche Lacomba. 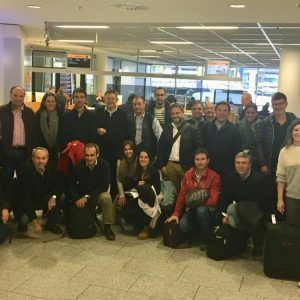 The objective of this official trip, organized in collaboration with the Chamber of Commerce of Valencia, was to strengthen the presence of Valencian companies in this North American country and seek new business opportunities. 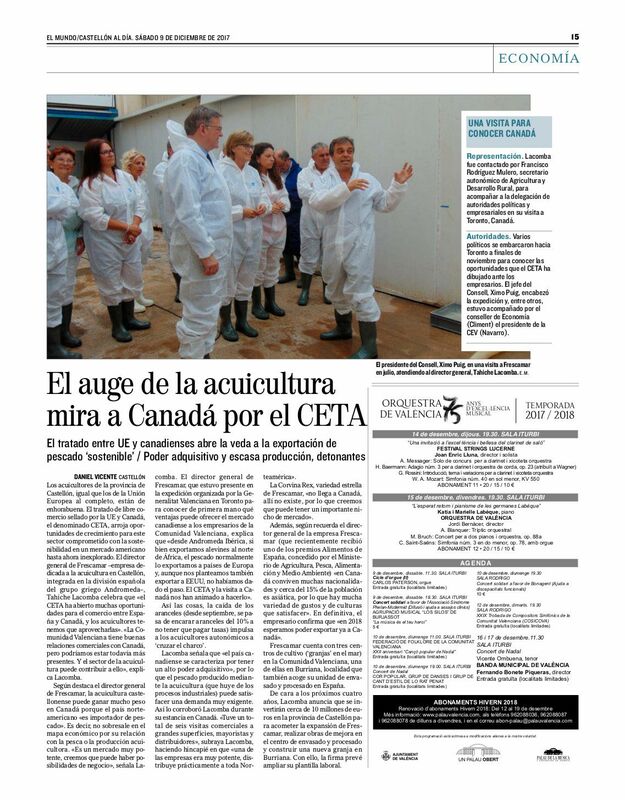 Puig highlighted the great possibilities that Canada offers for Valencian products and Lacomba expressed its willingness to start selling in this market as part of the ambitious expansion plan of Grupo Andromeda, the group to which Frescamar belongs. 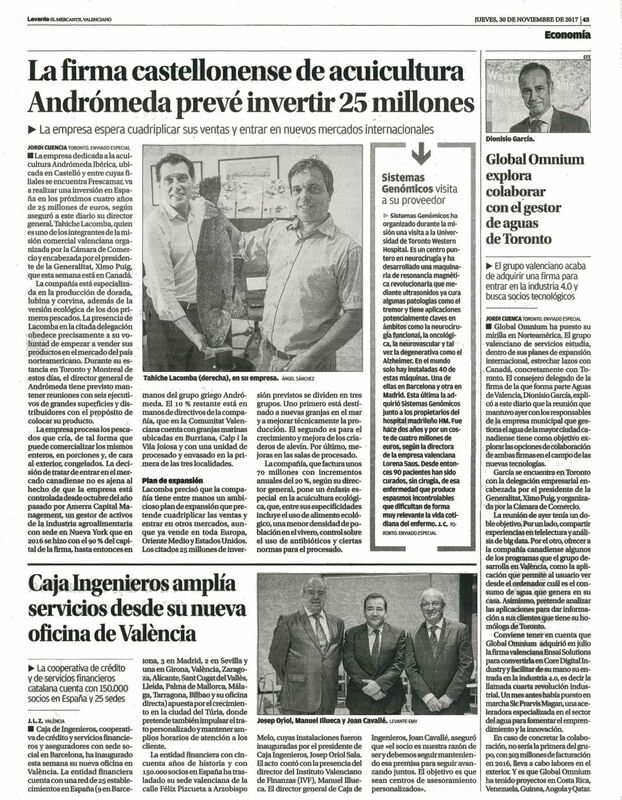 Andromeda, leader in Mediterranean aquaculture, already commercializes its products throughout Europe, the Middle East and the US. It is also important to mention that for about a year, the group is owned by Amerra Capital Management, an agribusiness asset manager based in New York that holds 90% of its capital. 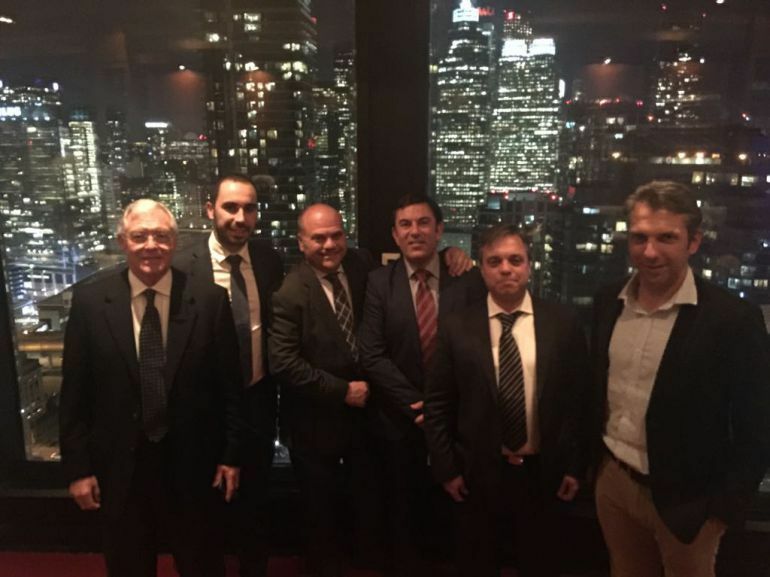 Lacomba has held meetings with large-scale distribution managers in both Montreal and Toronto. 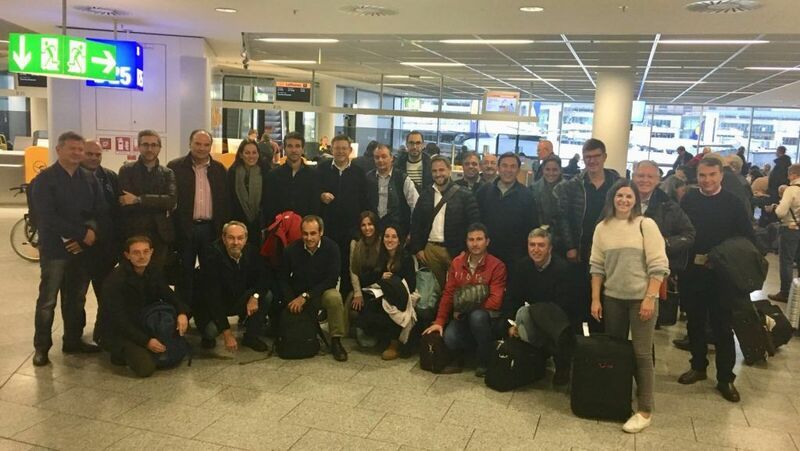 Together with FRESCAMAR, the delegation was integrated by other important companies of the Valencian Community of diverse sectors such as Air Nostrum or Porcelanosa, and food companies such as Dulcesol or Chocolates Valor.